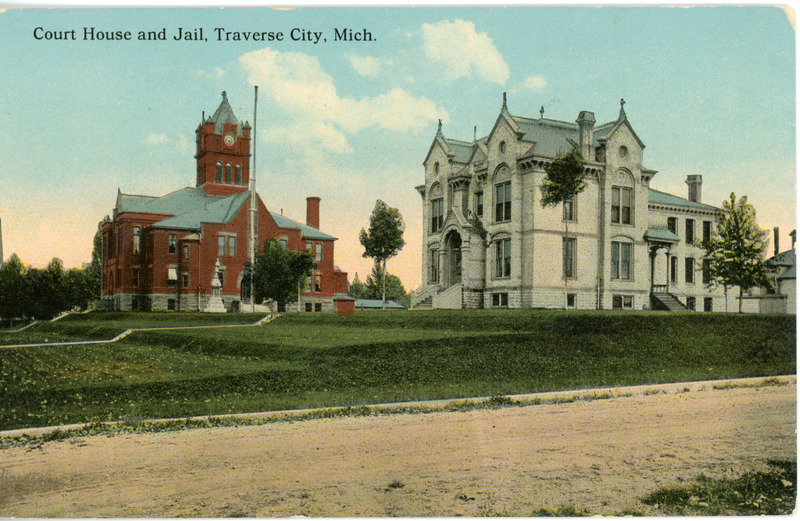 Colored postcard image of the Grand Traverse County Courthouse (court house) and Jail, on Washington and Boardman Streets, ca. 1907. Curt Teich Photochrom, “"Court House and Jail, Traverse City," ca. 1907,” TADL Local History Collection, accessed April 21, 2019, https://localhistory.tadl.org/items/show/1972.